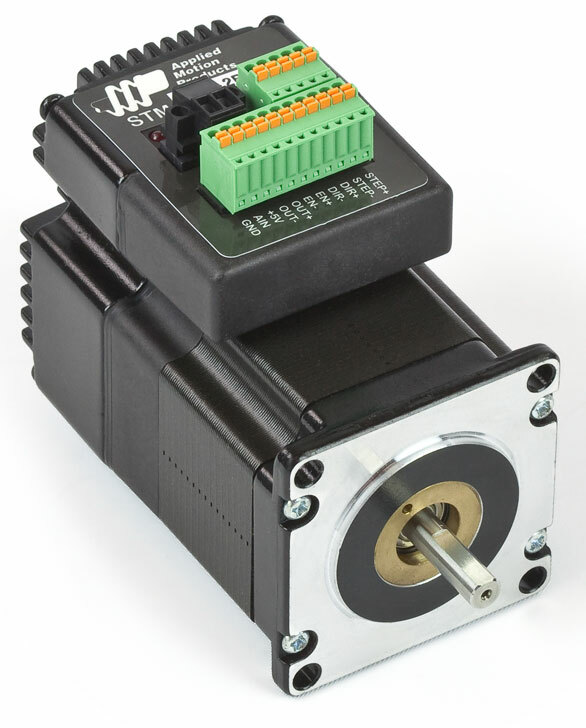 The STM23Q-2RN integrated stepper is a drive+motor unit, fusing a NEMA 23 step motor and a sophisticated 5.0 A/phase (peak-of-sine) stepper drive into a single device. Power to the drive, located at the rear of the motor, must be supplied by an external DC supply. See Related and Recommended Products below for compatible 24 and 48 volt DC power supplies. 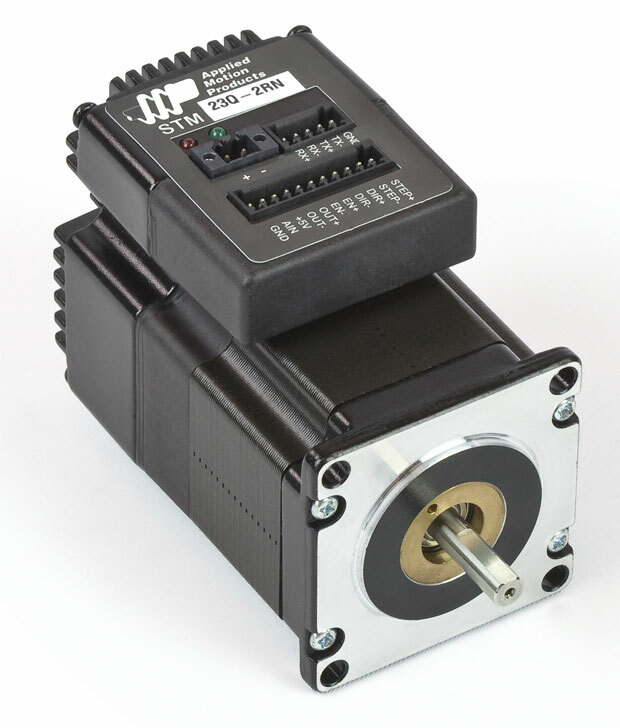 The STM23Q-2RN integrated stepper can operate in all of the same control modes as the S option, plus the ability to run a Q program stored in non-volatile memory. Q programs are created using Applied Motion’s Q Programmer™ software, which provides powerful commands for motion, I/O, conditional processing, multi-tasking, math functions, and more. 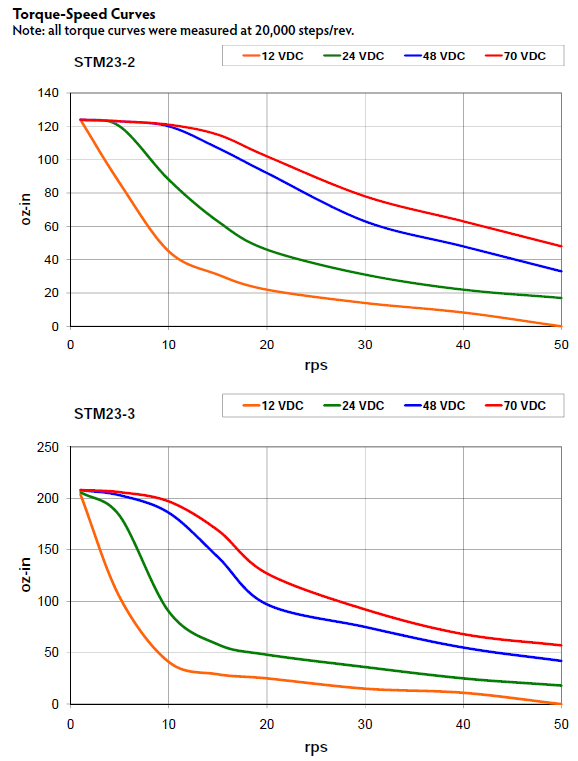 All STM23 units are setup and configured using Applied Motion’s ST Configurator™ software. The STM23Q-2RN comes with an RS-485 port for programming and serial communications.